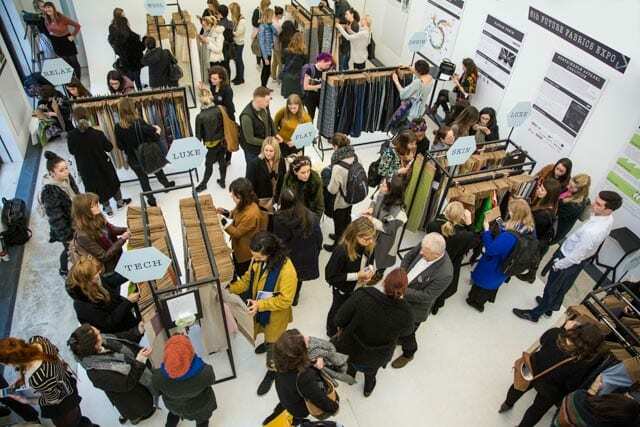 The Future Fabrics Expo is an annual showcase to learn more about the efforts of global textile mills to design, manufacture, and function more sustainably; to discover new fashion textiles and innovations for the future; and to extend networks in the fashion and textile industries. We offer year-round Future Fabrics workshops and are happy to discuss tailored solutions with you. We can prepare a curated selection of sustainable fabrics to be presented at your premises or event, working to a brief or presenting new and innovative fabric suggestions. We can also offer ad hoc or continuous consulting options related to sustainable sourcing and supply chain strategies, or for any general queries related to lowering the environmental impact across the supply chain. These fabrics are sourced from almost 100 mills worldwide, and are suitable for a range of price points, markets, and minimum and lead-time specifications.